The "51st state", in post-1959 American political discourse, is a phrase that refers to areas or locales that are â" seriously or facetiously â" considered candidates for U.S. statehood, joining the 50 states that already make up the United States of America. The phrase has been applied to external territories as well as parts of existing states which would be admitted as separate states in their own right. Residents of Puerto Rico pay U.S. federal taxes: import/export taxes, federal commodity taxes, social security taxes, etc. Most Puerto Rico residents do not pay federal income tax but do pay federal payroll taxes (Social Security and Medicare). However, federal employees, those who do business with the federal government, Puerto Ricoâ"based corporations that intend to send funds to the U.S. and others do pay federal income taxes. Puerto Ricans may enlist in the U.S. military. Puerto Ricans have participated in all American wars since 1898; 52 Puerto Ricans had been killed in the Iraq War and War in Afghanistan by November 2012. Puerto Rico has been under U.S. sovereignty for over a century when it was ceded to the U.S. by Spain following the end of the Spanishâ"American War, and Puerto Ricans have been U.S. citizens since 1917. The island's ultimate status has not been determined as of 2012, its residents do not have voting representation in their federal government. Puerto Rico has limited representation in the U.S. Congress in the form of a Resident Commissioner, a delegate with limited no voting rights. Like the states, Puerto Rico has self-rule, a republican form of government organized pursuant to a constitution adopted by its people, and a bill of rights. Puerto Rico is designated in its constitution as the "Commonwealth of Puerto Rico". The Constitution of Puerto Rico which became effective in 1952 adopted the name of Estado Libre Asociado (literally translated as "Free Associated State"), officially translated into English as Commonwealth, for its body politic. The island is under the jurisdiction of the Territorial Clause of the U.S. Constitution, which has led to doubts about the finality of the Commonwealth status for Puerto Rico. In addition, all people born in Puerto Rico become citizens of the U.S. at birth (under provisions of the Jonesâ"Shafroth Act in 1917), but citizens residing in Puerto Rico cannot vote for president nor for full members of either house of Congress. Statehood would grant island residents full voting rights at the Federal level. The Puerto Rico Democracy Act (H.R. 2499) was approved on April 29, 2010, by the United States House of Representatives 223â"169, but was not approved by the Senate before the end of the 111th Congress. It would have provided for a federally sanctioned self-determination process for the people of Puerto Rico. This act would provide for plebiscites to be held in Puerto Rico to determine the island's ultimate political status. It had also been introduced in 2007. The Washington Post, The New York Times and the Boston Herald have published opinion pieces expressing support for the statehood of Puerto Rico. On November 8, 2012, Washington, D.C. newspaper The Hill published an article saying that Congress will likely ignore the results of the referendum due to the circumstances behind the votes, and U.S. Congressman Luis GutiÃ©rrez and U.S. Congresswoman Nydia VelÃ¡zquez, both of Puerto Rican ancestry, agreed with the The Hill 's statements. Shortly after the results were published Puerto Rico-born U.S. Congressman JosÃ© Enrique Serrano commented "I was particularly impressed with the outcome of the 'status' referendum in Puerto Rico. A majority of those voting signaled the desire to change the current territorial status. In a second question an even larger majority asked to become a state. This is an earthquake in Puerto Rican politics. It will demand the attention of Congress, and a definitive answer to the Puerto Rican request for change. This is a history-making moment where voters asked to move forward." Several days after the referendum, the Resident Commissioner Pedro Pierluisi, Governor Luis FortuÃ±o, and Governor-elect Alejandro GarcÃ­a Padilla wrote separate letters to the President of the United States Barack Obama addressing the results of the voting. Pierluisi urged Obama to begin legislation in favor of the statehood of Puerto Rico, in light of its win in the referendum. FortuÃ±o urged him to move the process forward. GarcÃ­a Padilla asked him to reject the results because of their ambiguity. The White House stance related to the November 2012 plebiscite was that the results were clear, the people of Puerto Rico want the issue of status resolved, and a majority chose statehood in the second question." "Now it is time for Congress to act and the administration will work with them on that effort, so that the people of Puerto Rico can determine their own future." Washington, D.C. residents who support the statehood movement sometimes use a shortened version of the Revolutionary War protest motto "No taxation without representation", omitting the initial "No", denoting their lack of Congressional representation; the phrase is now printed on newly issued Washington, D.C. license plates (although a driver may choose to have the Washington, D.C. website address instead). President Bill Clinton's presidential limousine had the "Taxation without representation" license plate late in his term, while President George W. Bush had the vehicle's plates changed shortly after beginning his term in office. President Barack Obama had the license plates changed back to the protest style at the beginning of his second term. Other less likely contenders are Guam and the United States Virgin Islands, both of which are unincorporated organized territories of the United States. Also, the Northern Mariana Islands and American Samoa, an unorganized, unincorporated territory, could both attempt to gain statehood. Some proposals call for the Virgin Islands to be admitted with Puerto Rico as one state (often known as the proposed "Commonwealth of Prusvi", for Puerto Rico/U.S. Virgin Islands, or as "Puerto Virgo"), and for the amalgamation of U.S. territories or former territories in the Pacific Ocean, in the manner of the "Greater Hawaii" concept of the 1960s. Guam and the Northern Mariana Islands would be admitted as one state, along with Palau, the Federated States of Micronesia, and the Marshall Islands (although these latter three entities are now separate sovereign nations, which have Compact of Free Association relationships with the United States). Such a state would have a population of 412,381 (slightly lower than Wyoming's population) and a land area of 911.82 square miles (2,361.6Â km2) (slightly smaller than Rhode Island). American Samoa could possibly be part of such a state, increasing the population to 467,900 and the area to 988.65 square miles (2,560.6Â km2). Radio Australia, in late May 2008, issued signs of Guam and the Northern Mariana Islands becoming one again and becoming the 51st state. Texas: Under the joint resolution of Congress by which the Republic of Texas was admitted to the Union, it had the right to divide itself into as many as five different states. It is not clear whether this provides any power beyond that already provided by the Constitution. What is clear is that the Texas Legislature would have to approve any proposal to divide the state using this prerogative. There were a significant number of Texans who supported dividing the state in its early decades. They were generally called divisionists. The Texas Constitution and the Texas Annexation Act both provide for the possibility of Texas voting to divide into up to four further sovereign States of the Union. Current Texas politics and self-image make any tampering with Texas' status as the largest state by land area in the contiguous United States unlikely. Vermont and New Hampshire: The town of Killington has twice voted (March 2004 and March 2005) to secede from Vermont and become part of the state of New Hampshire. Because the town is not adjacent to the New Hampshire border, this would create an exclave. A similar motion was attempted in Winhall, but was voted down. The National Movement for the Establishment of a 49th State, founded by Oscar Brown, Sr. and Bradley Cyrus and active in Chicago in 1934â"37, had the aim of forming an African American state in the South. The phrase is usually used in local political debates, in polemic writing or in private conversations. It is rarely used by politicians themselves in a public context, although at certain times in Canadian history political parties have used other similarly loaded imagery. In the 1988 federal election, the Liberals asserted that the proposed Free Trade Agreement amounted to an American takeover of Canadaâ"notably, the party ran an ad in which Progressive Conservative (PC) strategists, upon the adoption of the agreement, slowly erased the Canada-U.S. border from a desktop map of North America. Within days, however, the PCs responded with an ad which featured the border being drawn back on with a permanent marker, as an announcer intoned "Here's where we draw the line." A few groups in Canada have actively campaigned in favor of joining the United States. These annexationist movements have not attracted large mainstream attention, although surveys have found that a small minority of Canadians expressed support for the concept in surveys done by LÃ©ger Marketing in 2001 and in 2004. 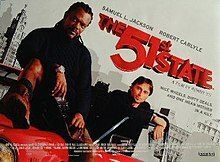 In the United States, the term "the 51st state" when applied to Canada can serve to highlight the similarities and close relationship between the United States and Canada. Sometimes the term is used disparagingly, intended to deride Canada as an unimportant neighbor. In the Quebec general election, 1989, the political party Parti 51 ran 11 candidates on a platform of Quebec seceding from Canada to join the United States (with its leader, AndrÃ© Perron, claiming Quebec could not survive as an independent nation). The party attracted just 3,846 votes across the province, 0.11% of the total votes cast. In comparison, the other parties in favour of sovereignty of Quebec in that election got 40.16% (PQ) and 1.22% (NPDQ). During World War II, when Denmark was occupied by Nazi Germany, the United States briefly controlled Greenland for battlefields and protection. In 1946, the United States offered to buy Greenland from Denmark for $100 million ($1.2 billion today) but Denmark refused to sell it. Several politicians and others have in recent years argued that Greenland could hypothetically be in a better financial situation as a part of the United States; for instance mentioned by professor Gudmundur Alfredsson at University of Akureyri in 2014. Due to geographical proximity of the Central American countries to the U.S. which has powerful military, economic, and political influences, there were several movements and proposals by the United States during the 19th and 20th centuries to annex some or all of the 6 or 7 Central American republics (Costa Rica, El Salvador, Guatemala, Honduras with the formerly British-ruled Bay Islands, Nicaragua, Panama which had the U.S.-ruled Canal Zone territory from 1903 to 1979, and formerly British Honduras or Belize since 1981). However, the U.S. never acted on these proposals from some U.S. politicians; some of which were never delivered or considered seriously. El Salvador has, however, recently adopted the U.S. dollar as its currency, while Panama has used it for decades due to its ties to the Canal Zone. Cuba, like many Spanish territories, wanted to break free from Spain. A pro-independence movement in Cuba was supported by the U.S., and Cuban guerrilla leaders wanted annexation to the United States, but Cuban revolutionary leader JosÃ© MartÃ­ called for Cuban nationhood. When the U.S. battleship Maine sank in Havana Harbor, the U.S. blamed Spain and the Spanishâ"American War broke out in 1898. After the U.S. won, Spain relinquished claim of sovereignty over territories, including Cuba. The U.S. administered Cuba as a protectorate until 1902. Several decades later in 1959, the corrupt Cuban government of U.S.-backed Fulgencio Batista was overthrown by Fidel Castro. Castro installed a Marxistâ"Leninist government allied with the Soviet Union, which has been in power ever since. However, in Article 3 of the Treaty of San Francisco between the Allied Powers and Japan, which came into force in April 1952, the U.S. put the outlying islands of the Ryukyus, including the island of Okinawaâ"home to over 1 million Okinawans related to the Japaneseâ"and the Bonin Islands, the Volcano Islands, and Iwo Jima into U.S. trusteeship. All these trusteeships were slowly returned to Japanese rule. Okinawa was returned on May 15, 1972, but the U.S. stations troops in the island's bases as a defense for Japan. In 2010 there was an attempt to register a 51st State Party with the New Zealand Electoral Commission. The party advocates New Zealand becoming the 51st state of the United States of America. The party's secretary is Paulus Telfer, a former Christchurch mayoral candidate. On February 5, 2010, the party applied to register a logo with the Electoral Commission. 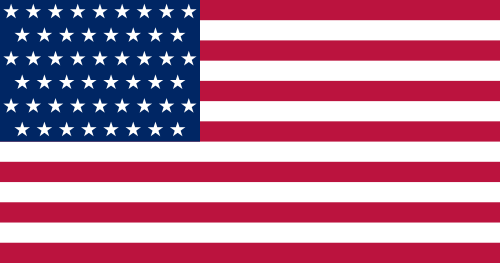 The logoÂ â" a US flag with 51 starsÂ â" was rejected by the Electoral Commission on the grounds that it was likely to cause confusion or mislead electors. As of 2014, the party remains unregistered and cannot appear on a ballot. Albania has occasionally been called the 51st state for its perceived strongly pro-American positions, mainly because of the United States' policies towards it. In reference to President George W. Bush's 2007 European tour, Edi Rama, Tirana's mayor and leader of the opposition Socialists, said: "Albania is for sure the most pro-American country in Europe, maybe even in the world ... Nowhere else can you find such respect and hospitality for the President of the United States. Even in Michigan, he wouldn't be as welcome." At the time of ex-Secretary of State James Baker's visit in 1992, there was even a move to hold a referendum declaring the country as the 51st American state. Poland has historically been staunchly pro-American, dating back to General Tadeusz KoÅciuszko and Casimir Pulaski's involvement in the American Revolution. This pro-American stance was reinforced following favorable American intervention in World War I (leading to the creation of an independent Poland) and the Cold War (culminating in a Polish state independent of Soviet influence). Poland contributed a large force to the "Coalition of the Willing" in Iraq. A quote referring to Poland as "the 51st state" has been attributed to James Pavitt, then Central Intelligence Agency Deputy Director for Operations, especially in connection to extraordinary rendition. The Party of Reconstruction in Sicily, which claimed 40,000 members in 1944, campaigned for Sicily to be admitted as a U.S. state. This party was one of several Sicilian separatist movements active after the downfall of Italian Fascism. Sicilians felt neglected or underrepresented by the Italian government after the annexation of 1861 that ended the rule of the Kingdom of the Two Sicilies based in Naples. The large population of Sicilians in America and the American-led Allied invasion of Sicily in Julyâ"August 1943 may have contributed to the sentiment. The L5 Society was founded in 1975 with the intention of constructing a space habitat at one of the Lagrangian points of Earth's orbit. Its members successfully lobbied the United States Senate to defeat the Moon Treaty, a treaty that would have transferred sovereignty of all outer space to an international organization, in 1980. The high price such a project would cost compared to previous Earth-based colonies eventually led to the group's demise in the 1980s.